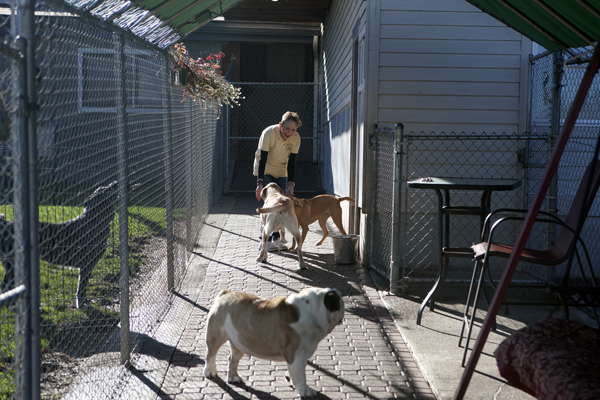 Dawg Tired offers a variety of services that are sure to delight both you and your dog. Whether your furry friend needs to burn off excess energy or needs a safe place to stay when you're out of town, we have you covered! 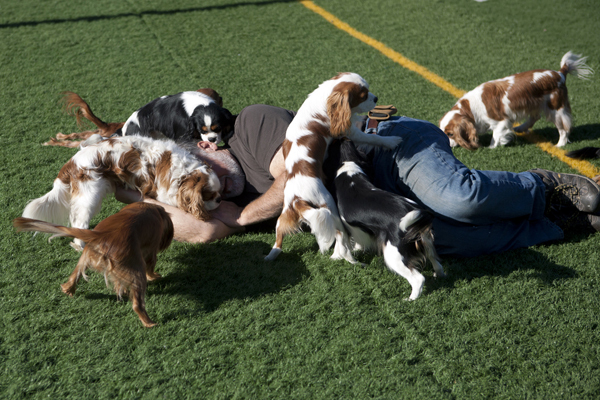 Here at Dawg Tired we refer to "Doggy Daycare" as "Play Days". 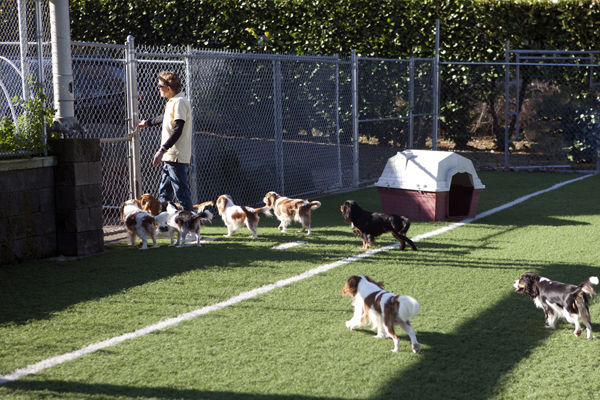 Drop your dogs off for their Play Days or let us pick them up on our one-of-a-kind, safety equipped Doggie bus! We offer short and long term boarding. All guest suites have radiant heated floors, are fully secured and come with their own raised bed. 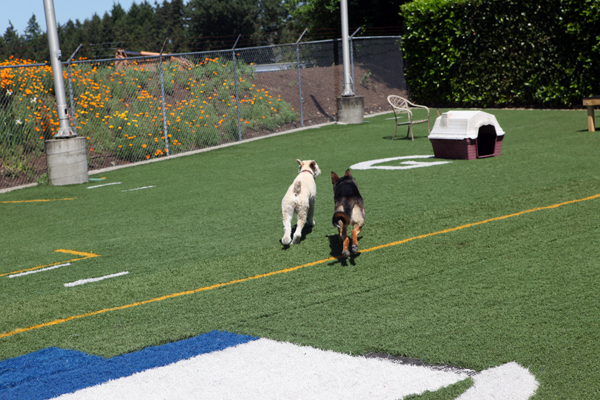 Pups enjoy free participation in Play Days! Does your pooch need a little extra pampering at the doggie spa? We offer grooming services from head to toe. Bring your pup in for a bath, blow dry, brush, and nail trim today! One thing that makes Dawg Tired unique is our one-of-a-kind Bark N' Ride program! As safety is always our number one concern, our bus features secure built-in kennels and doggie seatbelts. Large dogs must provide their own harness in order to properly attach to seatbelts. Try this service out today, we are always happy to pick your pup up when you aren't able to! 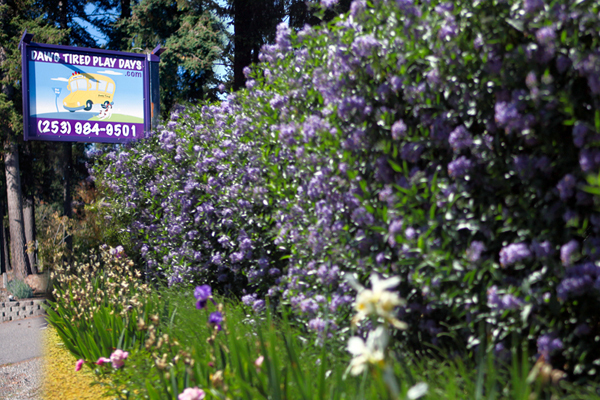 Dawg Tired Play Days is a privately owned Doggy Day Care center, short/long term boarding facility, and a professional grooming salon for your furry friends. 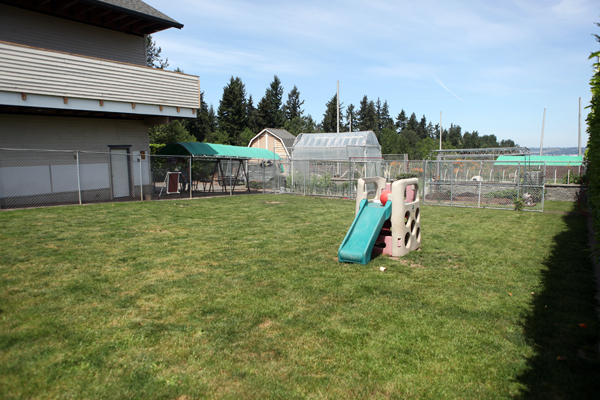 We have three main secured play areas which include an oversized turf field, a covered dog run and a large natural grass yard. 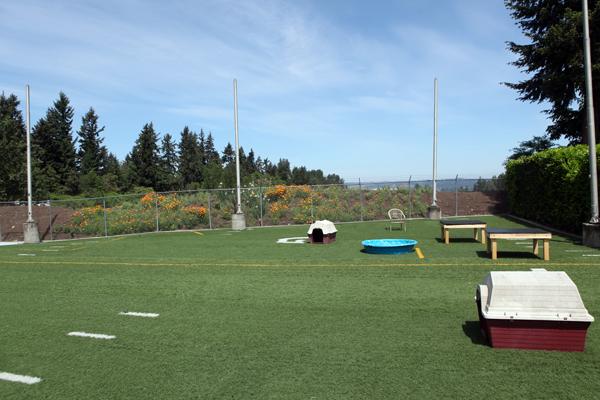 Our unique setup is suited for dogs of all ages, shapes and sizes where they can play the day away! Busy schedule? No problem! We offer pick up and drop off services with our Dawg Bus! We can even pick your dog up for you if you're not home. 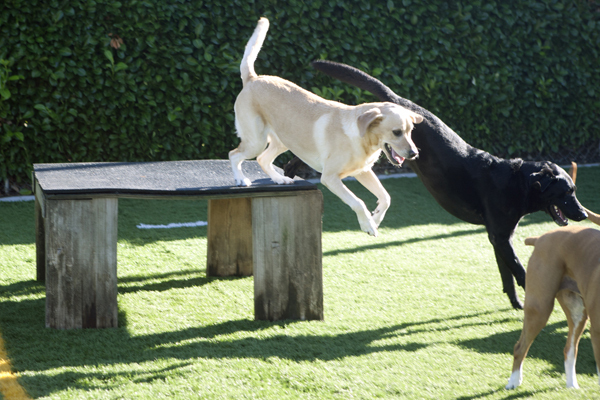 We guarantee your dog is sure to have fun with us at Dawg Tired. We uphold the highest standards of customer service and care for our guests. You can count on us to spoil, love, and tire out your four legged friends! 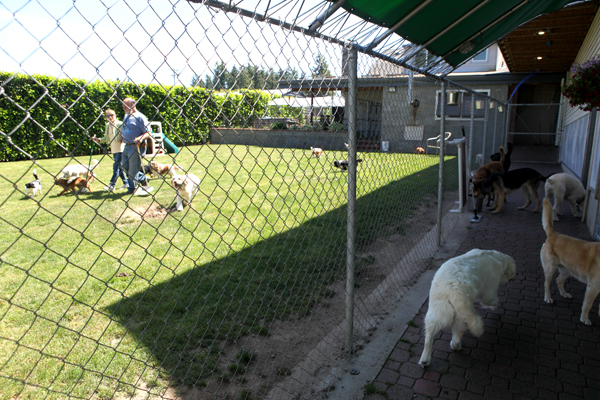 Enjoy these photos of our property and some of the dogs enjoying a beautiful day! 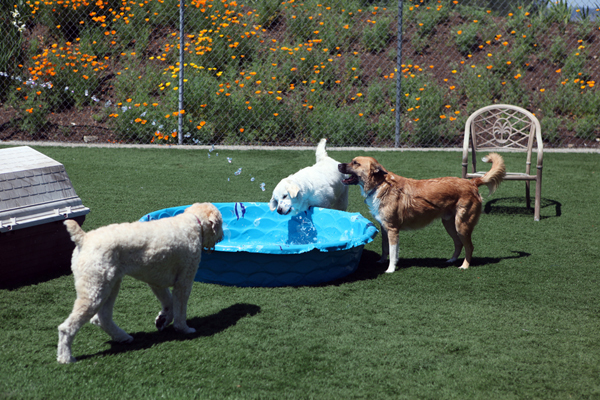 The dogs love it when we fill up the pool! 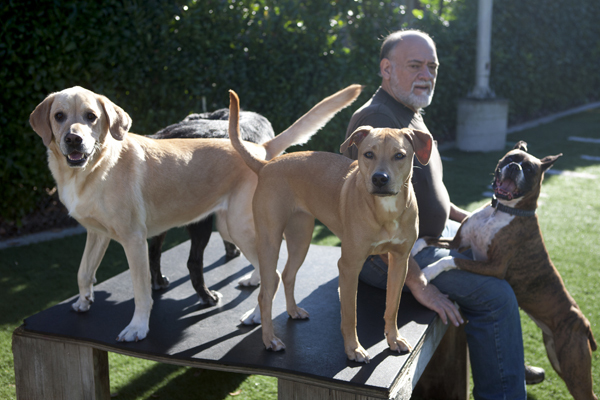 Meet Rick and Penelope, the owners of Dawg Tired Play Days. 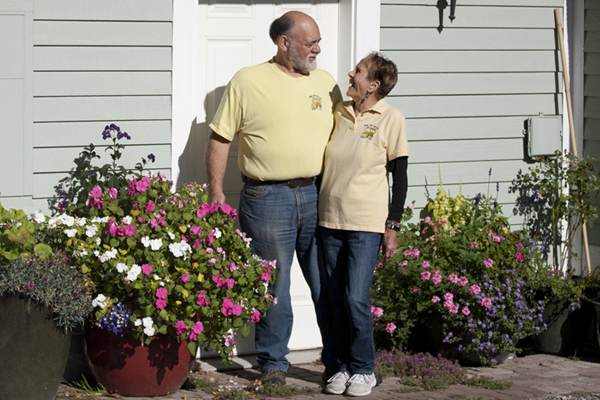 Their home is also their business which means you can count on someone always being home while your dog is in their care. 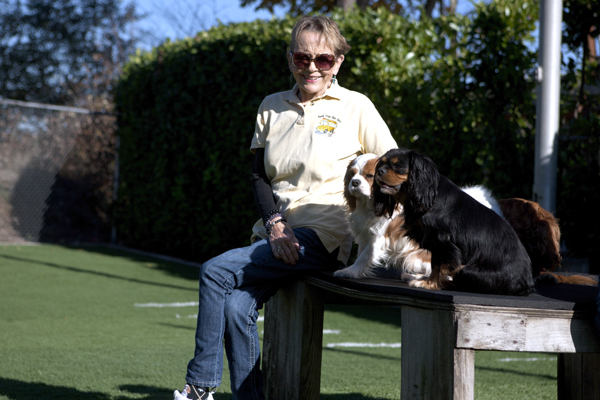 Rick and Penelope have over 30 years of experience as breeders and exhibitors of Cavalier King Charles Spaniels. They have personally bred over 10 AKC Champions and take great pride in the longevity and success of their line. 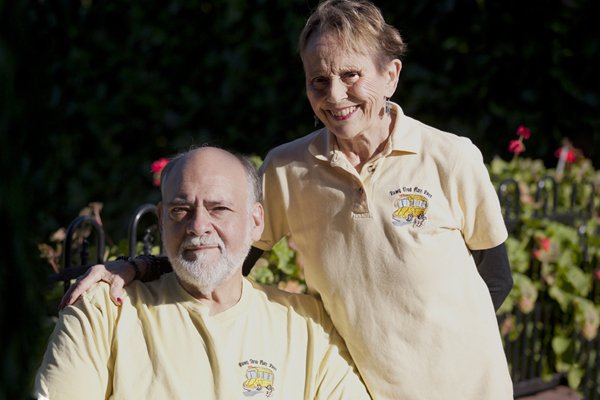 Their love for dogs and passion for providing nothing but the best has led them on a successful journey not only in showing and breeding dogs and establishing their own business, but in spreading their love and joy to dogs of all breeds and mixes. 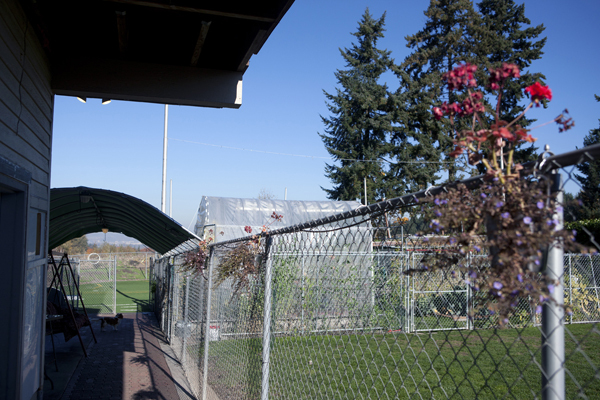 Dawg Tired Play Days opened in 2008 and has been growing ever since. For us, Dawg Tired Play days is not just a job. It is our way of life. 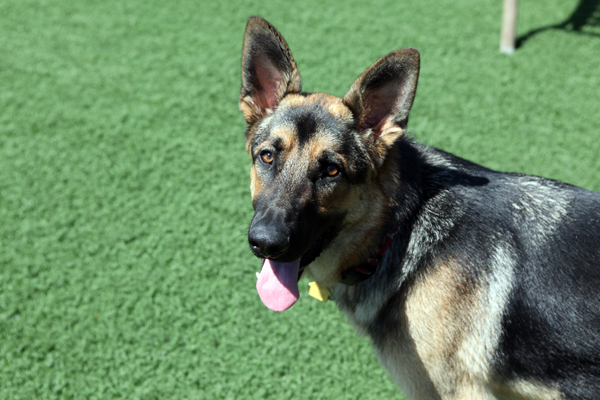 We strive to provide the best customer service around, to both canine and human clients! They are not just dogs to us, they are family. The dogs should be happy then go home tired, satisfied, and eager to come back. We are proud to offer services to fit any budget. Don't forget to ask about our 10% off Veterans, Military, and Senior Citizen discount! Ready to book a service? Have questions? Please call, email, or use the form below.